DISH and Southwest Airlines announced a new partnership today that will allow iOS device users to access live and on-demand programming for free directly from their tablet or smartphone. It’s certainly an idea that we can get behind… After all, would you prefer watching live TV on your 10-inch Retina display or the barely visible 6-inch display typically built into airline seats? 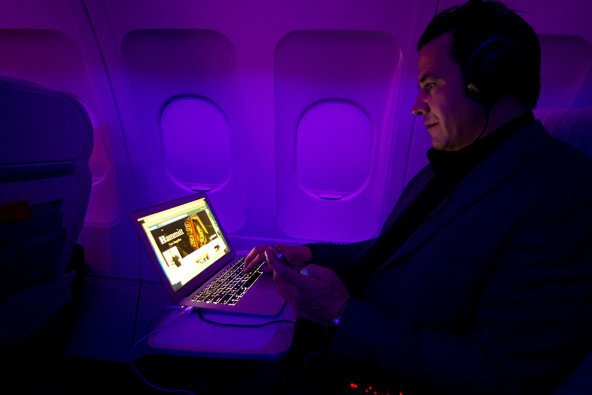 To celebrate the launch of the new TV Flies Free service, DISH took to a Southwest flight yesterday to give out some free iPads and show passengers how the access to 75 on-demand shows and live TV streams work. Not only is the TV Flies Free service available to all of the 400 WiFi enabled Southwest planes, it’s also the first time onboard entertainment becomes free for SWA customers. The live-TV lineup currently features Bravo, CNBC, FOX 5 New York (WNYW), FOX Business Network, FOX News Channel, Golf Channel, MLB.com (Major League Baseball, when games are available), MSNBC, NBC 4 (WNBC), NFL Network, Food Network, HGTV and Travel Channel. Popular TV show episodes are also available on demand as part of the TV lineup. Free TV, compliments of DISH, is a limited-time promotion.